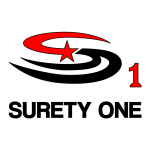 payment of bond and insurance premiums. 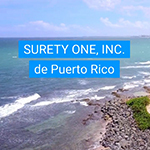 SAN JUAN, Puerto Rico–(BUSINESS WIRE)–#SuretyOne–In efforts to better serve the needs of its clients, Surety One, Inc.
methods of payment on July 1st. applicant, directly to the broker or carrier. currency may access the payment portal at https://SuretyOne.com.